How hot is too hot for your pets? 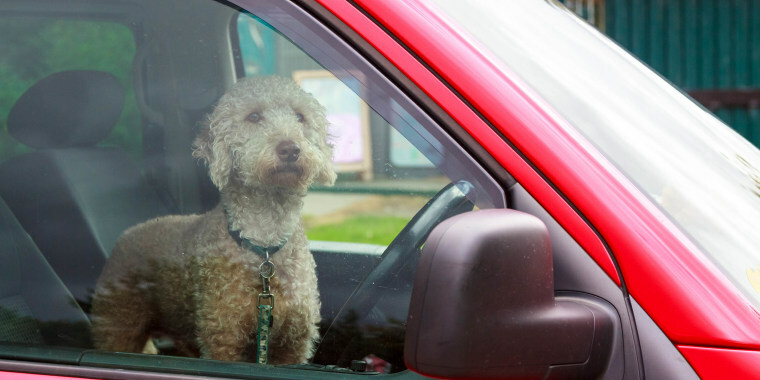 Oftentimes, what begins as a 10-minute errand turns into an hourslong excursion, leaving pets in serious risk, even if the car may be parked in the shade or left with the windows cracked open. Temperatures inside a car can rise 30 to 40 degrees higher than the outside temperature, San Filippo says, noting that even a comfortable 70-degree day can create a deadly situation for an animal confined to a car. If you suspect that an animal locked in a car is in danger, take action. “Call local animal control or the police and let them know. We don’t want people to ignore it and think it’s not their issue,” San Filippo said. Many of those states, like California, have passed laws in recent years to allow good Samaritans the right to break into a vehicle to save an animal. Finally, there are easy ways to ensure your community knows the importance of pet safety in the summer months, like “sharing that message with people you know, with friends or family or on social media, and set a good example, yourself,” San Filippo said. You can also visit the AVMA’s website to learn more about animal safety in vehicles, and talk to your veterinarian about your specific pet’s needs, as issues may vary from breed to breed and species to species.